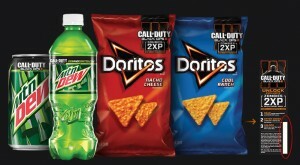 Mountain Dew and Doritos are teaming up with PlayStation to bring you the Fuel Up for Battle Promotion at www.DewandDoritos.com where you could win a PlayStation 4 gaming console! A total of fifty (50) consoles will be given away during the Promotion Period ending on December 31, 2015. 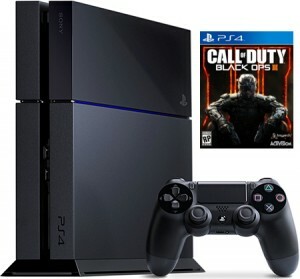 The Prize, which consists of a PlayStation 4 System also includes one (1) physical copy of the Call of Duty: Black Ops III game. A prize valued at $399.99! To enter this promotion, you’ll need to obtain a Code which can be found under specially-marked MTN DEW caps, inside packaging, and on specially-marked Doritos bags purchased from participating retailers nationwide and the DEW Amazon store. You may also request a free Code, without making a purchase, by sending a 3″ x 5″ card containing your contact information including your first name, last name, and email address to: Mtn Dew Game Fuel/Doritos/Call of Duty: Black Ops III Promotion, PO Box 760027, Dept. 891-721, El Paso, TX 88576-0027. Game cards distributed at select sampling sites and events. E-mail to online subscribers of DEWsletter. Once you obtain a Promotion Code, enter it online as directed. You’ll be required to register prior to entering your first code. Every valid code is worth an entry into the Sweepstakes. Entrants must be legal US residents of the fifty (50) United States or the District of Columbia who are 17 years of age or older at the time of entry. Please note that each Code can only be used once so keep looking for new codes. The more codes you enter, the higher your chance to win! This is the code under my cap from a bottle of Moubtain Dew. I have been trying for several weeks to obtain a new password. But nothing gets e-mailed to me. Could you please e-mail me a new password?